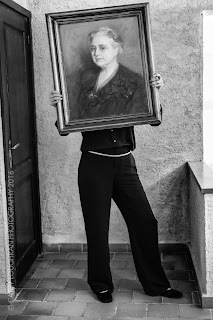 A Photography Blog from Barcelona. 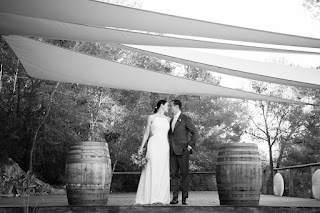 Joaquin & Lili on their wedding day at Can Llorens, Llagostera Girona, Catalunya. To view slideshow please click on the photo. Blanca Hartmann and Boris Shepelev run an amazing dance school in Barcelona called Ballet Ruso Barcelona. They manage to get together stars from the world of Russian Ballet and teachers from the best schools in the world to participate their summer intensive course and then at the final gala Les Etoiles at the Teatre Victòria where students who are studying professionally at the school get to share the stage with the stars. This picture has Elena Solomianko and Innokentiy Yuldashev both from the Stanislavsky Ballet. Other dancers came from the Mariinsky Ballet and the Mikhailovsky Ballet. Teachers came from the world famous Vaganova Academy. Please click on the picture to see a slideshow of the intensive course and of the final gala Les Etoiles. 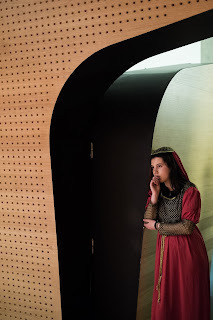 Click on the picture to view my slideshow from the workshop with CaixaEscena in Murcia. Para ver el presentación haz clic en la foto. 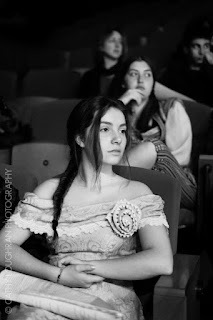 Los encuentros han actualisado en la Escuela Superior de Arte Dramático de Murcia (ESAD). 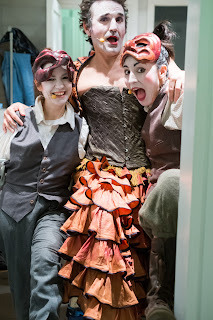 Click on the picture to view my slideshow from the workshop with CaixaEscena in Palma de Mallorca. Para ver el presentación haz clic en la foto. 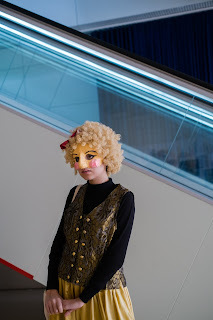 Click on the picture to view my slideshow from the workshop with CaixaEscena in Barcelona. Para ver el presentación haz clic en la foto. 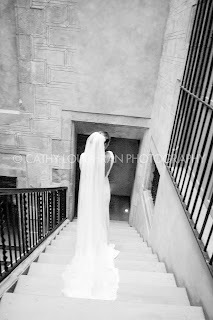 Click on the photo to view the slideshow of Colette & Danny's wedding pictures. The wedding took place at Iglesia Santa Maria del Mar in the El Borne barrio of Barcelona. The reception was at Sol i Vida. Click on the photo to view the slideshow from the wedding of Anthony & Nikki. 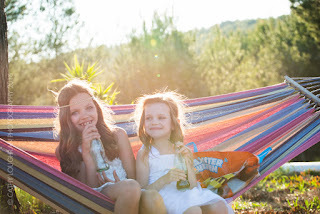 The wedding took place in Can Ribas de Montbui near Barcelona. 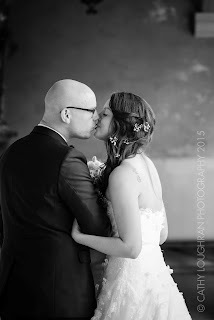 Click on the photo to view the slideshow from the wedding of Austin & Marie. The wedding took place in the beautiful Sol y Vida in Barcelona. 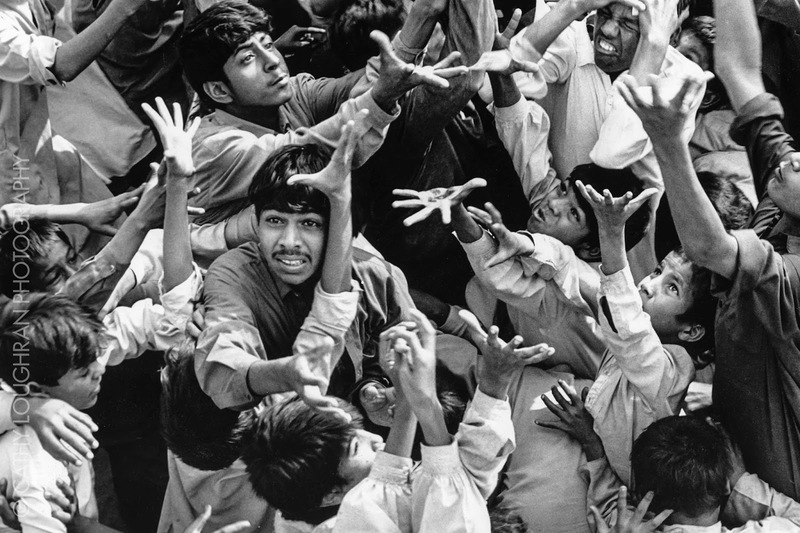 CaixaEscena es un programa de la Obra Social “la Caixa” que promueve las prácticas teatrales en centros educativos, con el objetivo de contribuir al desarrollo integral de los niños y jóvenes gracias a los valores intrínsecos que aporta el teatro. 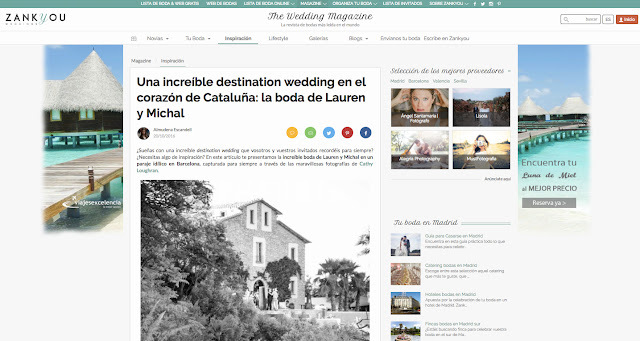 Click on the photo to view the slideshow of Rachel & Mike from New York on their wedding day in Sant Pere de Ribes, Barcelona. 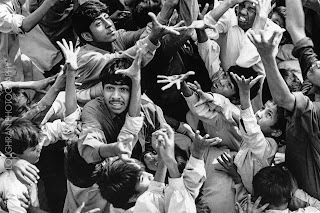 Kids on the street in Pakistan jumping for money being thrown at a wedding. 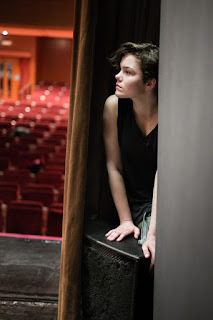 Adolescence and Theatre. 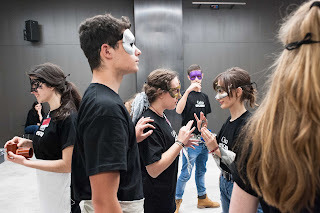 A weekend intensive of theatre for secondary school students involved with #caixaescena2017 . A great program which brings out lots of emotions in everybody involved, students, teachers and organisers. 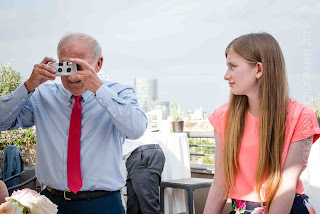 Haz clic en el foto a ver la boda de Ariana & Javier desde Tarragona, Catalunya, España. 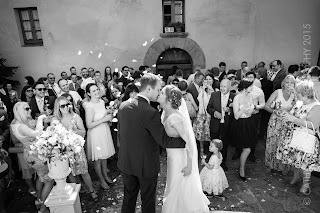 Click on the photo to view Gina & James' wedding day from Castelleral, Barcelona, Catalunya, Spain. 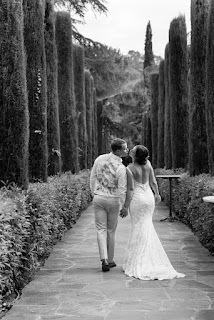 Click on the photo to view Chris & Viviana's wedding day from Tibidabo, Barcelona, Catalunya, Spain. 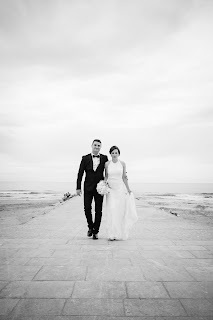 Click on the photo to view Alex & Sinead's wedding day from Sitges, Catalunya, Spain. 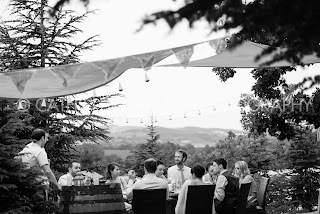 Click on the photo to view Jaime & Kelly's wedding day from Olivella, Catalunya, Spain. Click on the photo to view Ivan & James' wedding day from Barcelona, Catalunya, Spain. Click on the photo to view Gal & Jude´s wedding day from Dublin, Ireland. The ceremony took place at the Registry Office on Lower Grand Canal Street. Aperitifs and dinner were at Hartley's Restaurant in Dun Laoighaire.....and the swim........The Forty Foot! 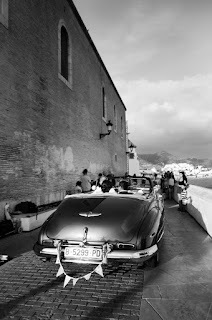 Click on the photo to view Noelle & John´s wedding day from Almiral de Font outside Sitges, Barcelona, Catalunya, Spain. 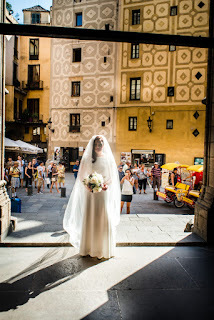 Click on the photo to view Clare and Jon on their wedding day in Barcelona, Catalunya, Spain. Haz clic en la foto a ver la boda de Amina i Hugo. 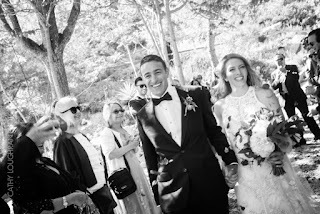 Click on the photo to view Ciara & Jubee on their wedding day in Sitges, Catalunya, Spain. 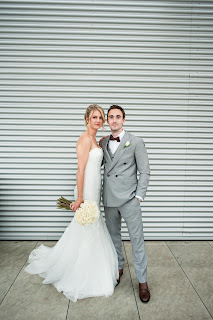 Click on the photo to view Carl & Marta on their wedding day in Barcelona. Marta took a rickshaw from Happy Rental Bikes to the church. The church was the beautiful Iglesia Santa Anna in the heart of Barcelona, just off Placa de Catalunya. Later we walked around the Barrio Gotico and the Ramblas before leaving them at the famous Els Quatre Gats restaurant. 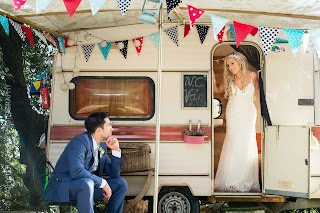 Their day was organised by Val & Mirea from Weddings Viaval. 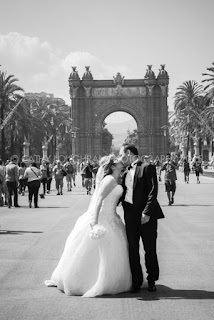 Click on the photo to view Donal & Niamh from Ireland on their wedding day in Barcelona. Photos were taken at Poble Espanyol. 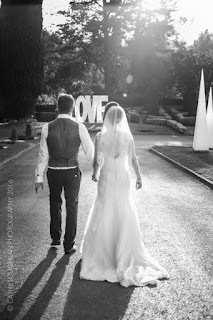 Click on the photo to view Ciarán & Donna from Ireland on their wedding day in Barcelona. 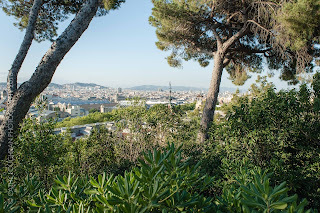 Photos were taken around the streets of Barcelona including the Ramblas, Barrio Gotico and los Jardins de Montjuic. 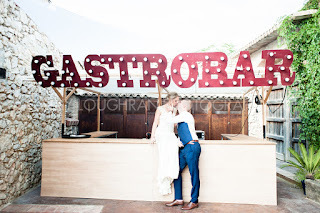 Click on the photo to view Brian & Leah's wedding day photos from Sitges. 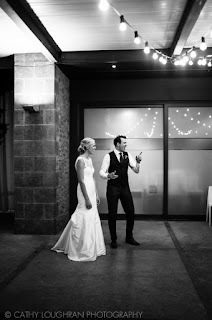 Click on the photo to view Lauren & Michal's wedding day photos from Barcelona. 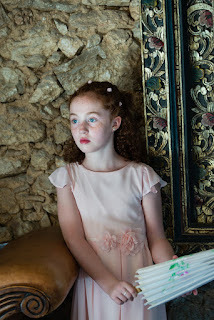 - Getting ready, reception and ceremony all took place at Almiral de la Font. To view full gallery please go to the client area of www.cathyloughran.com, password needed. 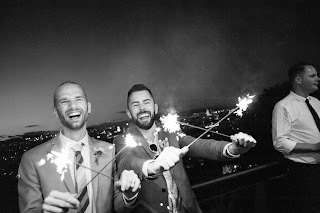 Click on the photo to view Glenn & Michael's wedding day photos from Barcelona. 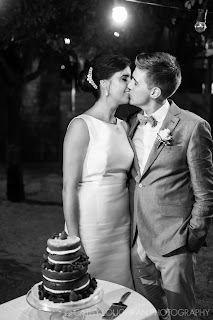 Click on the photo to view Claudia & Erik from Holland on their wedding day in El Garraf, Sitges, Barcelona. Click on the slideshow to view the slideshow of David & Philippa's wedding Day in Barcelona. 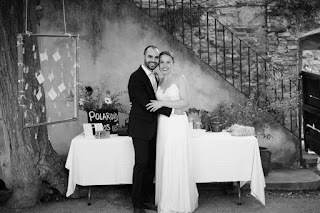 They got married in Poble Espanyol and then took a walk with the 'Always Drinking Marching Band' to El Xalet Restaurant in Montjuic, where they had their reception. Click on the photo to view the slideshow of Ciarán & Mairead from Ireland on their wedding day in Barcelona, Spain. They had the ceremony at the Iglesia de Santa Anna in the Barrio Gótico. Click on the photo to see a slideshow of Kane & Milli´s wedding day photos. 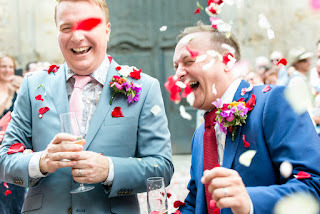 They came all the way from Australia to get married in Sitges, Barcelona, Spain. They had their reception in La Masia. Click on the photo to see the slideshow of Synnove & Torbjorn from Norway on their wedding day in Sant Pere de Ribes & Sitges in the province of Barcelona, Spain. I did a short session with them in Almiral de la Font and later we went to Sitges where we did a session by the beach and in the old quarter. 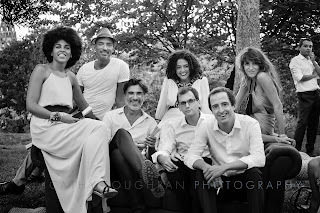 Click on the photo to view some of my favourite wedding pictures from the past 15 years. The pictures are mainly from Barcelona, Sitges and other parts of Catalunya but Ireland, Ibiza & England feature too. 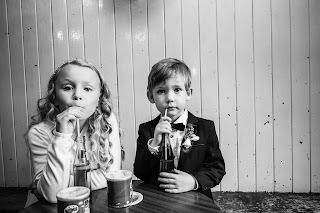 Here is a selection of my favourite wedding photographs from 2015. To view the slideshow please click HERE. Thank you to all my clients, it was a real pleasure to work for all of you. Also some great venues, including Casa Felix, Almiral de la Font, Hotel Sitges 1883, Can Travi Nou, La Baronia, Tamarit Castle, Hotel Estela, Masia Cabanyes, SB Hotel Plaza, Hotel Duquesa de Cardona, Mas Terrats, Sitges Royal Rooms, The Fragata Restaurant, Casa Nova, Hotel Ibai & Hotel Jazz here in Barcelona & Catalunya. The Domain Gayda in France and the Galivant Hotel in England. Thanks also to Phillipa Events, Barcelonabryllup, Carolyne de Puis, Weddings ViaVal, A Spanish Do, Brudepikene & Barcelona Wedding for your continued collaboration. 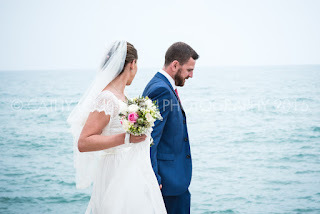 Click the photograph to view the slideshow of Mary & Patrick from Ireland on their wedding day in Tamarit, near Taragona. The wedding took place at Castell de Tamarit, Catalunya, Spain. Click the photo to view the wedding photographs of Jane & Mark. Their wedding took place at the Duquesa de Cardona Hotel, Barcelona. 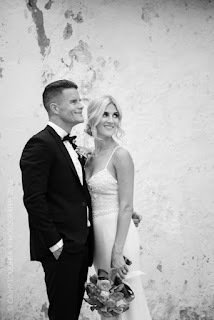 Click on the photograph to view the wedding pictures of Ida & Nils from Norway. Preparation took place at Hotel Neri, in the Barrio Gotico of Barcelona. The ceremony took place in L'Església de Sant Sever and later they went to Masia Ribas for the reception. 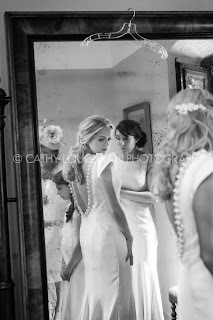 Click on the photo to view the wedding pictures of Ciara & Gareth. Their wedding took place in the south of France. Their wedding venue was the Domain Gayda. 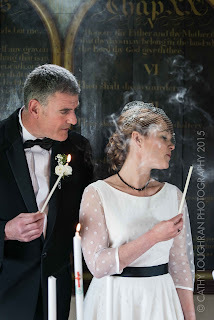 Click the photograph to view the slideshow of Ann-Marie & Dan on their wedding day. The wedding took place in La Baronia de Rialb and later at La Baronia. The wedding was organised by Barcelona Wedding. Click the photo to view the slideshow of Andy and Clare on their wedding day. The ceremony took place at the Thomas Becket Church, Fairfield, near Rye, East Sussex England. The reception was at the Gallivant Hotel, Camber Sands. 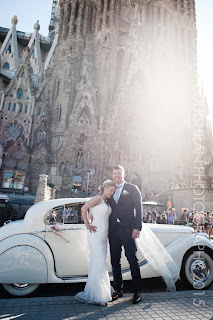 Click on the photograph to view the slideshow Kim & Lene from Norway on their wedding day in Barcelona. They had their ceremony at what´s known as the Norwegian Church, Iglesia Conventual de Nuestra Señora del Rosario in Barcelona centre. Later they went to Barceloneta Beach and Montjuic. 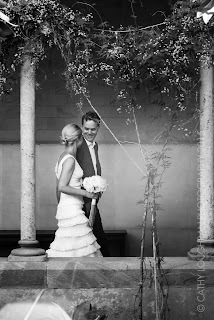 Click on the photo to view Camille & Lars from Norway on their wedding day in Barcelona. Their ceremony was at the Iglesia Conventual de Nuestra Señora del Rosario. Later they strolled around the Barrio Gothic then the Parc de Laberint before finishing off their day at the restaurant Can Travi Nou. The wedding was organised by Barcelonabryllup. 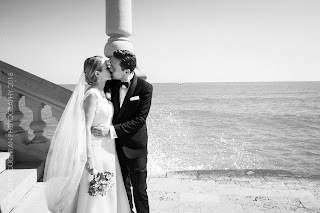 Click on the photograph to view Fredrik & Sissel from Norway on their wedding day in Barcelona. The wedding took place in the Norwegian Church and later Hotel Miramar, Montjuic. The wedding was organised by Barcelonabryllup. To view slideshow of their wedding photography you can click HERE. 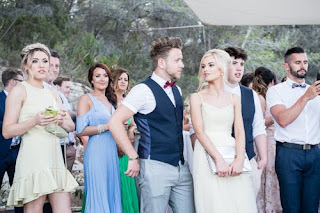 Helen and Jamie from Ireland and England on their wedding day in Casa Felix, Olivella, Catalunya, Spain. 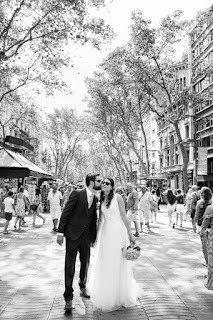 Alyin & Mehmet from Turkey on their wedding day in Barcelona. They had their ceremony at the Turkish consulate and later walked around the streets and beach of Barcelona. To view the slideshow of their wedding photography you can click HERE. To view the slideshow click here. 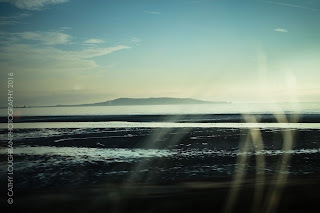 © CATHY LOUGHRAN PHOTOGRAPHY. Simple theme. Powered by Blogger.